The San Diego Tourism Authority has been a proud supporter of the Jack and Jill Late Stage Cancer Foundation (JAJF) for several years. After seeing the joy San Diego brings to the faces and hearts of our adopted families, we realized it is a program that needs to be shared with our community. Despite advances in cancer research, too many young Moms and Dads are not being saved by the next wonder drug, clinical trial, or hope for a cure, and are leaving behind their children. As the only organization of its kind, JAJF needs to be sustained. There is a need to keeping fighting the fight; there is also a need to keep fighting for life…for family time. Oncologists prescribe JAJF as part of the treatment protocol for the patient, the spouse, and their children… the family together, which is extraordinary. Oncologists have validated the medicinal impact JAJF is having in the immediate term and now the long-term for these families, especially the children who are losing their heroes and security blankets at such a vulnerable time. 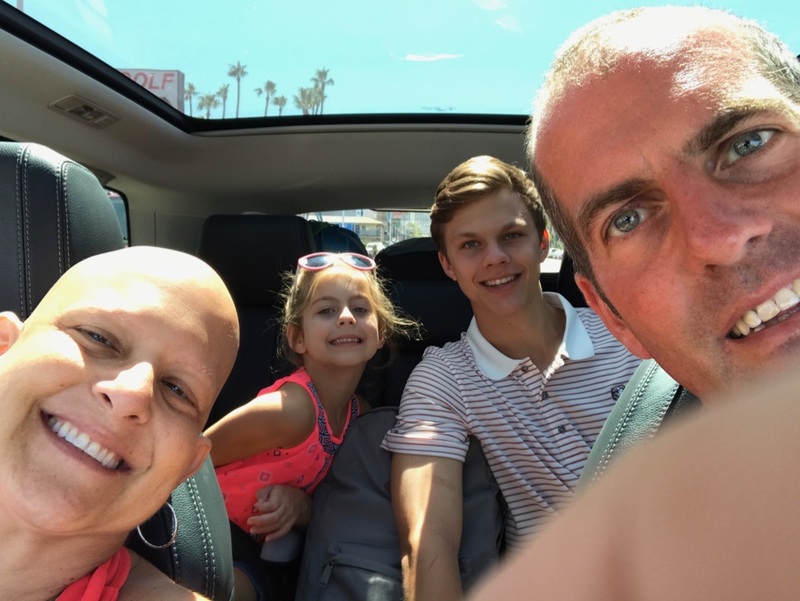 Oncologists believe in the power of beaches, sunsets, sports, music and roller coasters and FUN as a family. San Diego offers so much happiness and we hope you consider JAJF in your future charitable community programs. Happiness is calling… and we want more families to answer the call! Dr. Sanjay Gupta explains the power and value of the JAJF program in this short video below. We are so happy to see smiles on the faces of our sponsored family this year. 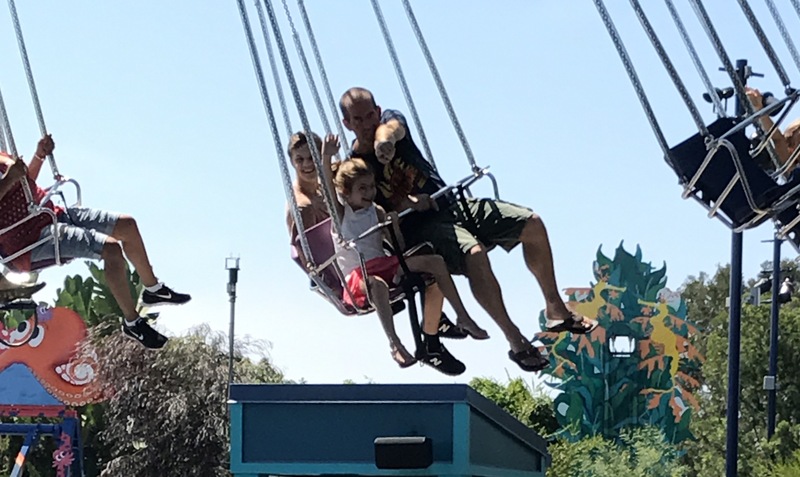 The Cobb family shared some photos from their amazing trip to San Diego! 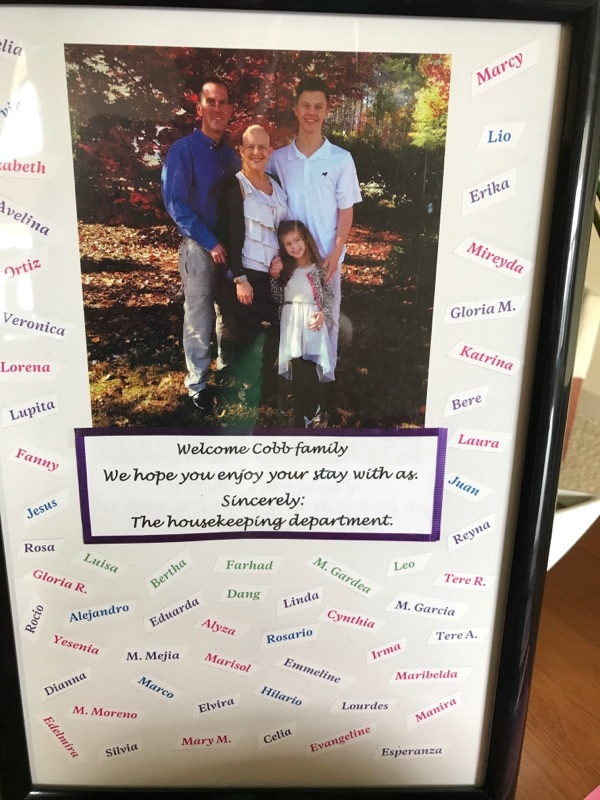 The Cobb family also wished to share their gratitude and excitement over their trip to San Diego below. We look forward to providing that WOW experience to other families in the future. Join us in helping to create memories for families dealing with cancer by visiting the JAJF website and making a donation or adopting a family. Wow! 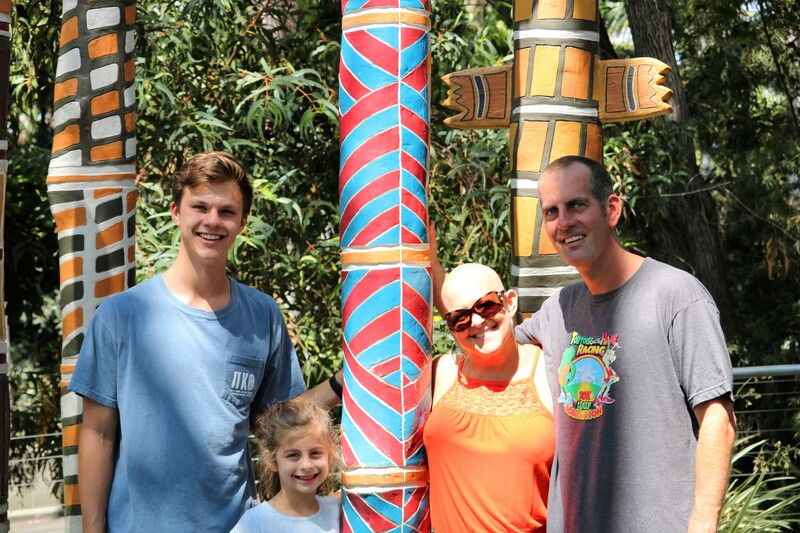 There is definitely a reason that Jack and Jill uses that phrase to describe the experience that they were able to give to us and so many other families. My name is Ryan Cobb. 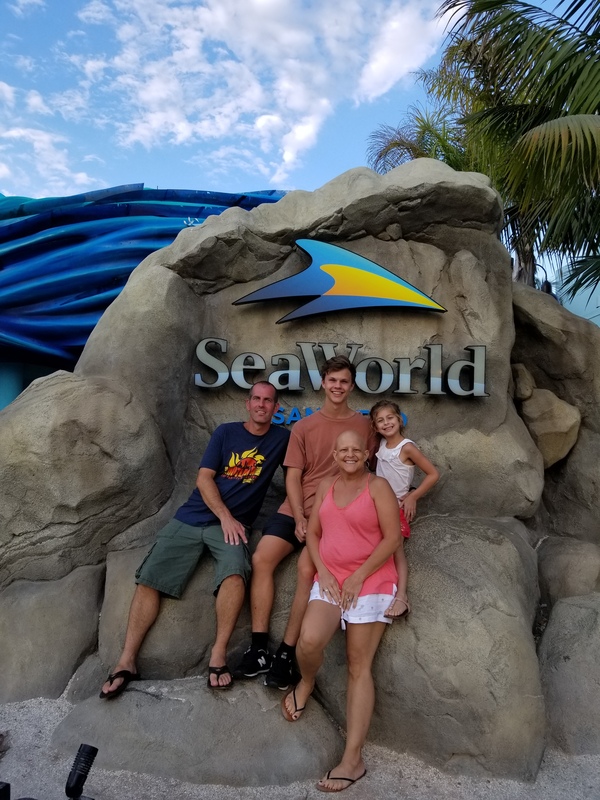 My wife Carol, son Avery, and daughter Peyton, and I have just been home for a few days from our amazing Wow experience vacation in San Diego, California. Carol was diagnosed with stage 3c breast cancer in 2014. After a year of fighting, we were blessed with a year of remission before her cancer came back with a vengeance and has transformed into a terminal prognosis as it has metastasized to her lungs and her brain. Shortly after her latest diagnosis we were introduced to Jack and Jill, and were prescribed a much-needed timeout. We, like many families dealing with late-stage cancer, spend an inordinate amount of time in hospitals. We were all so excited to be recipients of this trip so that we could take a breath and enjoy some family time. Upon arrival in San Diego, we went to pick up our car and were surprised to drive off in a brand-new Range Rover! We enjoyed the ride through beautiful San Diego until we arrived at The Westin Gaslamp Quarter Hotel. Wow! I don’t know how to describe the feeling of walking into an amazing hotel and being the star! When we first walked in I watched as the staff realized we were there and one by one came to greet us. From the front desk, bellman, concierge, and GM everyone knew who we were. We were greeted with warm handshakes, hellos, and hugs. Everyone knew our names and treated us like royalty. We were then whisked away to the top floor and our insane two-story suite! We were also surprised with amazing gifts, mementos, and keepsakes which the staff at the hotel continued to surprise us with every night. The housekeeping staff even took the time to hand-make gifts for us which was so special! I would love to list names of the staff here, but if I forgot even one I’d be doing a disservice. The entire hotel staff made this trip truly over the top. As a chef myself, I have to make sure that the restaurant staff is recognized as going way above and beyond too. Wow, what a wait staff! I was able to explore the beautiful city by foot as I was out running every morning. The remainder of our time we filled with incredible days at The Safari Park, San Diego Zoo, and Sea World. At night, we were able to take in some of the beautiful sights of the quaint San Diego neighborhoods and marinas. There are some incredible dining choices in San Diego too! Our beautiful 6-year-old daughter was able to take time out and truly just be a 6-year-old girl. She pretended she was a princess in the room and enjoyed all of the attractions. She, however, never made it through a dinner as she fell asleep every night at the table. A true sign of a good vacation! She didn’t want to leave and currently would love to move to San Diego. 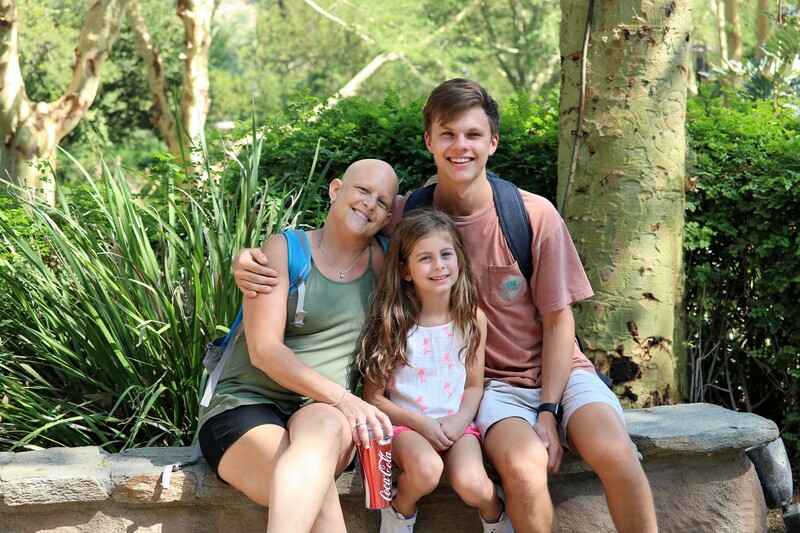 As for our older son Avery (19), Carol, and myself, I would love to say that we forgot about cancer for a while and just went carefree, but that wasn’t the case. Carol is too symptomatic for that. That is ok though. In fact, what happened was we actually got some time to talk about her cancer and the future. Carol and I actually were able to steal a moment alone and share a few tears. We don’t normally have the time to do that as our lives are generally so busy, so our time and conversations were truly special. Avery was able to leave college for a few days to come on this trip, which was special too. We would like to thank Kerry McGavin for all of her hard work and efforts to make this trip so special. She is such a pleasure to work with and talk to! Of course, we would also like to thank the Westin Gaslamp quarter again, the city of San Diego, and all of the contributors and supporters of Jack and Jill Foundation. 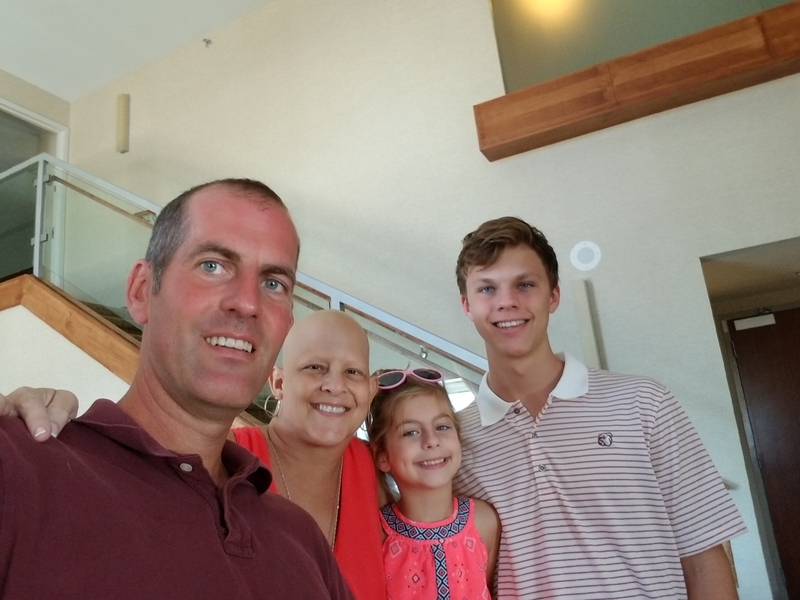 Please support the Jack and Jill Late Stage Cancer Foundation so that they can treat more families like mine; It is such an essential part of late-stage cancer treatment for both the patient and the families.